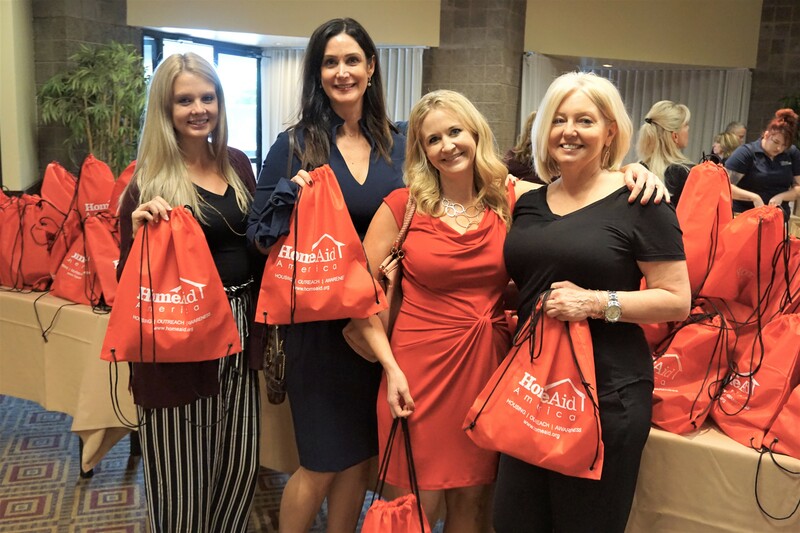 PHOENIX, October 19, 2018	(Newswire.com) - ​​HomeAid America, a leading national provider of housing and resources for the homeless, partnered with Taylor Morrison Foundation for a HomeAid Care Day on Oct. 12, 2018. About 175 employees from Taylor Morrison volunteered their time to sort more than 10,000 hygiene items and to assemble 600 HomeAid CareKits. 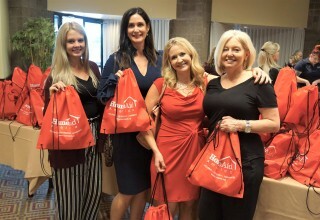 The CareKits were gifted to Phoenix-area HomeAid nonprofit partners, Sojourner Center and Family Promise of Greater Phoenix. HomeAid CareKits are backpacks stuffed with the essential hygiene items needed to provide dignity, hope and a fresh, clean start for someone experiencing homelessness. At a minimum, each kit includes shampoo, conditioner, soap, a toothbrush, toothpaste, floss, razor, shaving cream, wet wipes, tissues, feminine products, a comb, and hand sanitizer. 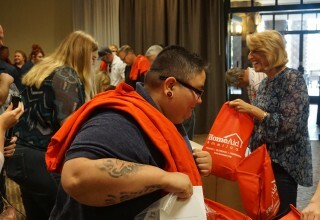 HomeAid America’s mission is to rebuild lives for America’s homeless through housing and community outreach. HomeAid identifies charities working to end homelessness and collaborates with the building industry to provide additional or upgraded facilities in which to house people. HomeAid’s community outreach efforts help to off-set everyday living expenses by providing basic necessities such as clothing, food and hygiene items to those in need. 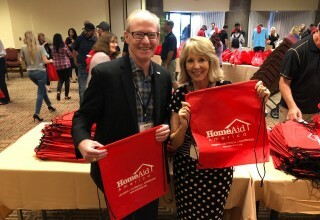 As part of the volunteer day, Sheryl Palmer, Taylor Morrison’s Chairman and CEO and a member of HomeAid’s National Board of Directors and Executive Committee, informed employees about the existing national partnership with HomeAid and renewed the company’s commitment to work with HomeAid chapters across the country, as well as to assist with chapter expansion efforts in markets where Taylor Morrison currently builds. Taylor Morrison is involved with HomeAid in a number of its markets including Atlanta, Austin, Colorado, Houston, and four areas in California: San Francisco Bay Area, Sacramento, Inland Empire and Orange County, where they have had representatives sit on the local Boards of Directors, have built several projects, and participated in numerous community outreach initiatives. 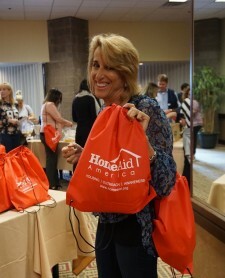 HomeAid is a leading national nonprofit provider of housing for the homeless. 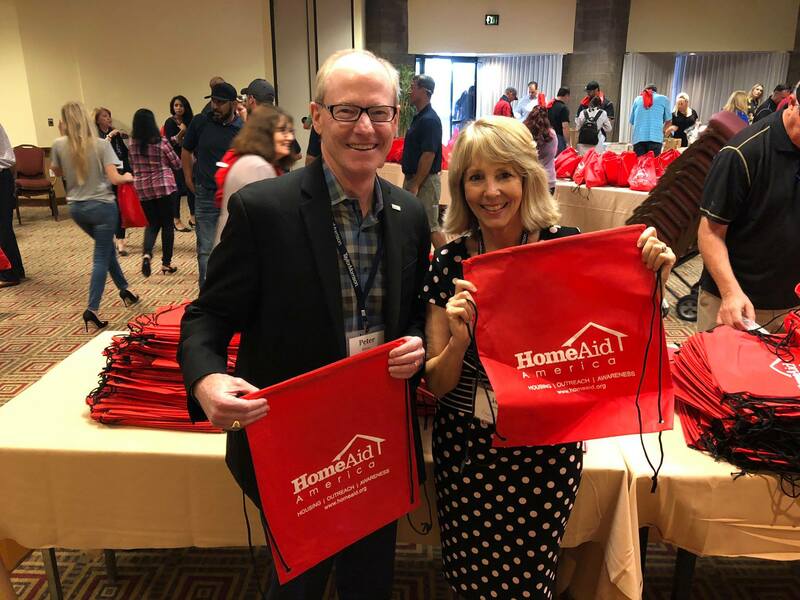 Through its network of 18 chapters in 12 states, HomeAid has completed over 550 housing projects that have sheltered over 325,000 previously homeless people. Through the generosity of builders, their trades and suppliers, HomeAid has added over $230 million of housing for the homeless, of which nearly 50 percent has been donated. HomeAid currently has over 60 projects in development across the country. For more information, visit www.homeaid.org. Taylor Morrison Home Corporation (NYSE: TMHC) is a leading national homebuilder and developer that has been recognized as the 2016, 2017 and 2018 America's Most Trusted® Home Builder by Lifestory Research. Based in Scottsdale, Arizona we operate under two well-established brands, Taylor Morrison and Darling Homes. We serve a wide array of consumer groups from coast to coast, including first-time, move-up, luxury, and 55 plus buyers. In Texas, Darling Homes builds communities with a focus on individuality and custom detail while delivering on the Taylor Morrison standard of excellence. HomeAid is a leading national nonprofit provider of housing for today's homeless. 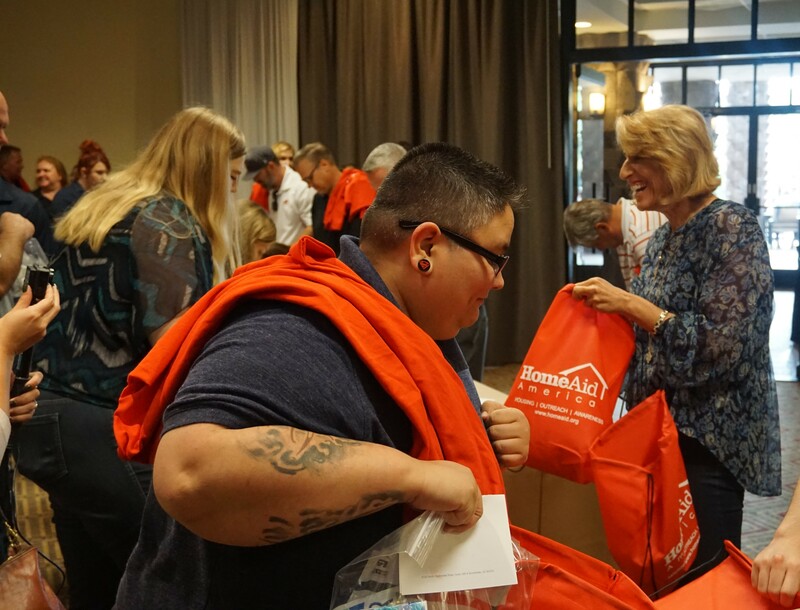 The organization builds and renovates housing and provides resources for America's homeless through local chapters in 18 markets across the country.